Dolores O’Riordan, lead singer of the iconic ‘90s Irish rock band The Cranberries, passed away earlier this week. She was 46. Her death was sudden, and is not being treated as suspicious, Scotland Yard announced Tuesday. A report from the coroner will soon be compiled. London Police responded to a 9:00 a.m. call Monday and found the singer dead at a Hilton hotel. O’Riordan was in the U.K. capital to record a cover of The Cranberries’ beloved single “Zombie” with metal band Bad Wolves. 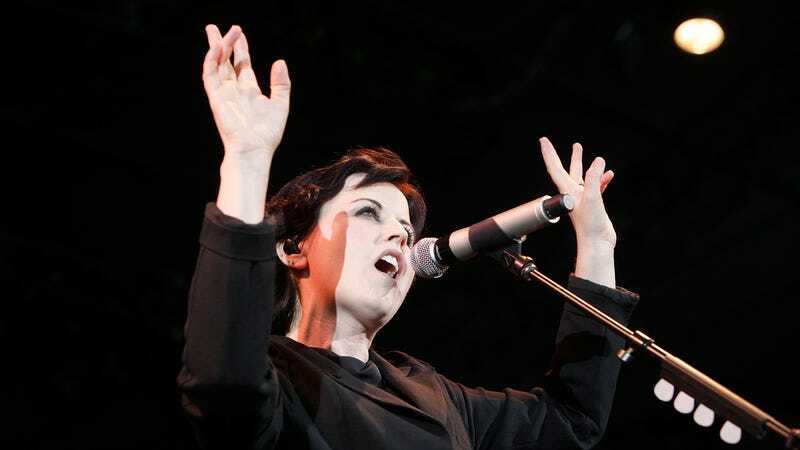 O’Riordan was known for her evocative voice and poetic, masterful songwriting; she was the only writer of the award-winning “Zombie” and wrote the lyrics for the band’s massive hit “Linger,” as well. She told the Irish Times that it was inspired by an incident with a guy she met at a club; he asked her to dance, and they kissed, but when they saw each other “at the next disco,” he started dancing with her friend instead. Right on. Rest in power, Dolores.